Dr Melanie MacGregor is renowned for her ground-breaking work in biomaterial nanodesign. 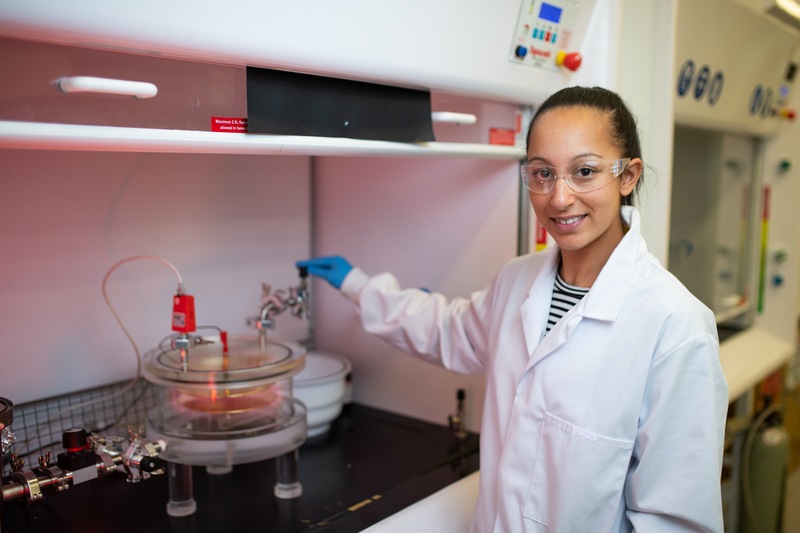 Developing tiny devices using plasma coatings, she can capture cancer cells from urine samples, grow stem cells, and in the mining industry improve the recovery of oil and gas. Melanie earned her Master of Chemical Engineering in France before moving to Australia in 2008 as an intern. By 2013 she had become an Australian citizen, completed a PhD and started a young family. The 33-year-old is a Santos-UCL Research Fellow at the Futures Industries Institute at the University of South Australia. Her research involves designing surfaces at a minute scale to influence how they interact with their environment – a specialisation that gives us insights into the future of advanced manufacturing. She has secured several competitive grants to support her research on the capture of cancer cells from urine samples. With a team of 12 scientists, Melanie has helped to develop a non-invasive microfluidic device to detect bladder cancer cells in urine. The team is now undertaking clinical trials using this new, pain-free technique and hope to commercialise the technology. Melanie is an enthusiastic ambassador of diversity in the STEM sector and reaches out to promote science career pathways to the younger generations. Her community engagement extends through Science Alive!, media interview , primary school STEM education grants, ECR Theo Murphy initiative, social media, lab tour for schools and more. The quality of her research, innovation and science communication have been recognised through several awards, including the 2013 Ian Wark Medal for best PhD thesis, the 2017 Winnovation awards in the Engineering category, and a 2108 SA Young Tall Poppy Science Award.